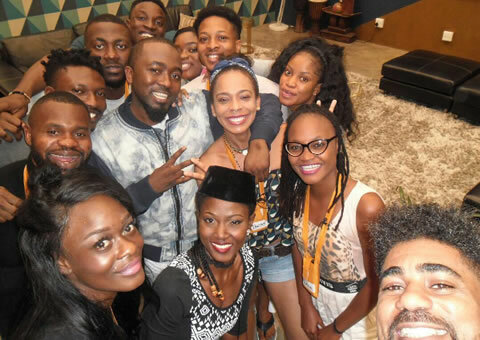 Big Brother Naija 2018 housemates Cee-C and Alex have been involved in a fight this afternoon. Hardly a few hours after waking up, Cee-C and Alex were at each other’s throats again following their first fight that took place on day 38 of the game [Read about that fight here]. The pairs’ cat fight started while they were both inside the closet room in the presence of Nina and Rico Swavey. Well Cee-C heard Alex saying something about someone being “short and round”, this is where problems started from and within a few microseconds both ladies where loudly screaming and throwing insults at each other. Now Alex was clearly offended by Cee-C’s remark about her not having finished school, she told Cee-C that despite her high education, they are in the same place, chasing the same dreams. Alex also told Cee-C that she has a very shallow mind, “As short as you are, you don’t have sense” Alex further told Cee-C.
Cee-C then told Alex that she should go and learn and that she will never enter where Cee-C has entered, Cee-C further insisted that Alex has no life and is below her. Basically, she needs to be humble and learn from those higher up. Mean while Rico Swavey was trying to calm down both ladies as the fight even extended from the closet room all the way to the garden where the other guys who included Tobi, Teddy A, Lolu and Miracle where seated. The funny thing was that none of the above mentioned four guys interfered, they all watched on as the two angry ladies jumped around like headless chicken throwing insults at each other. We’ll keep you updated in case the two ladies fight again ooooo.. Permit me go straight to the point. May I start by quoting a word from Ebuka, 'there is a thin line between being entertaining and exhausting'. That said, if Madam Cynthia is not given a strike and shown the way out of the house with the little respect she still has left; then many like me would wonder what the BBN 2018 show stands for. The reckless show of verbal abuse from Her who should know better is becoming disgusting to say the least. Very soon we wont bother to watch the Saturday Night part cause we can predict what will happen, as Madam Cynthia will look for whos skin to crawl under. HM's are ment to improve on them selves and raise above their insecurity and bitterness. That cc girl is really exhausting us as viewers, we are no longer entertained anymore. On day 52 of the show she still acts the same way as day 1, why cant she grow up, her attitude stinks and for that matter i dont enjoy watching BBN anymore all because of her. she needs to leave the house. I don't like her attitude at all, I feel she is ready to respond without understanding what the other person is saying. But I have a feeling sometimes she don't mean what she is saying because she will argue and next minute she is smiling, It's either she is pretending or there's a deep problem there. Alex on the other hand, she looks for trouble, she pokes and pokes and take on everyone. Like Leo said, Alex looks for arguments and she creates one if she cant find any. I do thing BB has learned his lesson on this season, the HMs are very young and are still looking for the paths to take in life. 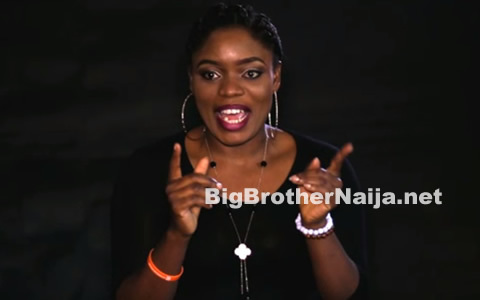 I also love her so much, this season is all about viewers more than it is for housemates. Viewers fight like mad. I don't agree with her ways of communication but I vote like crazy for her. Do u people even know that Alex was on the wrong because she said she thought whatever Cee-C said to Tobi was meant for her. On that note u should admit that Cee-C was never on the wrong . Because I was also surprised, a few minutes, Cee-C had made tea/coffee for Alex & the second minute they were at ea others throat! Secondly u r biased too much because one of them should have been a better person. If Alex was a better person, it would not have even gone there. After all, the same Cee-C went to Alex & only then did we discover that she was the one who was on the wrong! Secondly, look when Cee-C quarrels with Rico OR BamBam, they try to convince her but once they see that she is getting heated up, they withdraw & she immediately calms down! Its a two way thing , so stop blaming Cee-C simple because u never liked her from the beginning. Also, I hv picked up that apart from her short-temper, her English is not that perfect, same applies to the other hhs, and a lot of people who comment here. I remember once I said poor Cee-C & everybody was at my throat 4 saying she is poor. How much more for the HHs who r competing with each other and already on the edge of losing it? yes she needs to deal with her temper bt if the other hhs were also growing, especially now that they understand her, may b should would have changed. She has grown in many ways! Anyway, I like her for her boldness & for standing for what she believes in! # the bias must stop! I don't think its the age thing, its the person as a whole and the baggage that person carries with! @ some point BBA had HHS as young as 19(Bridgette). U couldn't have put it better. Cee C is a disgrace to her parents and the schools she attended. Everybody is irritated with Cee C's attitude, yes that cleared. But please can i ask these questions, who are those voting her? could bigbrother be blamed for this? is there something we dont know? because her attitude is really not an example we should portray on a live tv. Am ashamed of her on behalf of her family.